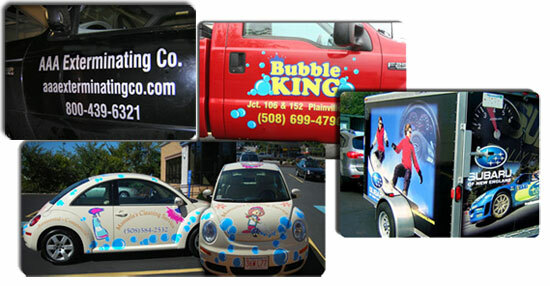 Vehicle graphics are a surefire way to get your prospective customers to do a double take while you’re on the road. Whether you own a single company car, an entire fleet of cars, a truck, bus, or even a boat vehicle graphics are perfect for marketing your business on the go. We use high-performance vinyl materials that resist fading and cracking. We have both cut vinyl and digitally printed vinyl capabilities, making full color photos a possibility. Magnets are also a great option for temporary vehicle signage. Our capabilities are limitless and we will work with you to create customized vehicle graphics to really make your company vehicle stand out.